Ever had a pair of leggings which you hardly wear anymore but love the color? 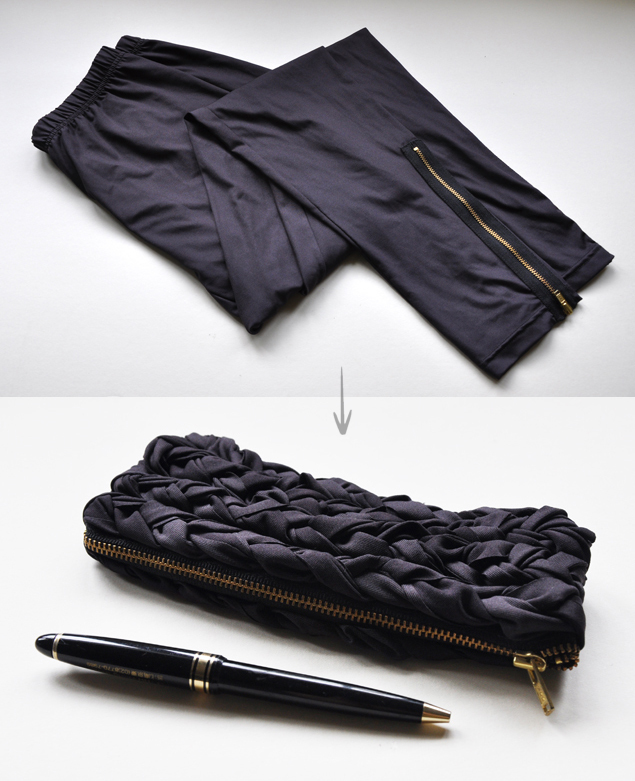 Why not turn it into a handy pouch or a pencil case instead! In another of my what-was-I-thinking moments, I got this pair of leggings with a zipper at the bottom of each leg a few years back. They came in handy for some photo shoots but I never got a lot of use out of them (especially since I’m now in hot, sunny Singapore). Read on to find out how! Combining the love of sewing and make-up? What more could we ask for! 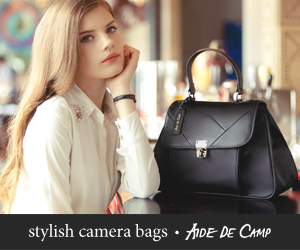 While there are often makeup brush holders in stores, they often come in black faux leather. I’m not a huge fan of those as the dark colors make it hard for me to see my brushes and the material disintegrates over time. Plus, they often don’t come in the exact specifications I want – I have a usual set of brushes that I tend to carry around for travel or touch-ups for others on set. There have been some DIY tutorials I’ve come across, but they often feature ones made of cloth and require a lot more sewing than I’d bother to do for this (oops!). In addition, cloth brush holders can’t be wiped easily and you’d have to wash them frequently to ensure it’s hygienic enough. 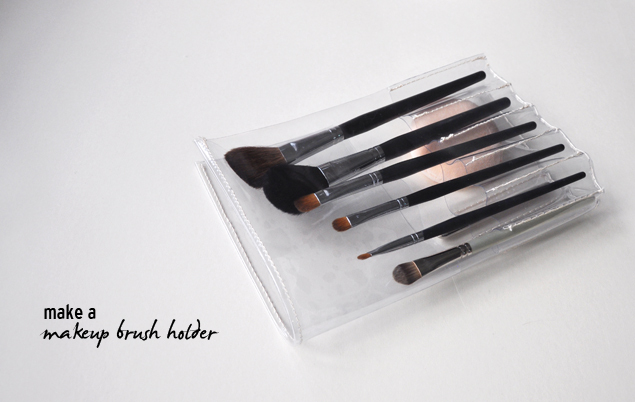 So… in comes a custom PVC makeup brush holder!! Clarins double fix mascara - kiss smudging goodbye! Some time ago, I came up with a tutorial on how to make a ring box in 5 minutes. 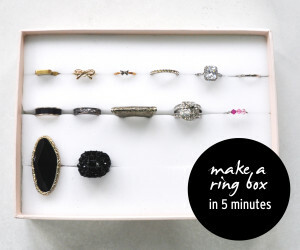 This definitely helps to organize your rings and saves space on your dresser when you mount them on the wall! However, certain chunky rings wouldn’t be able to fit themselves into the thin slits of this design. 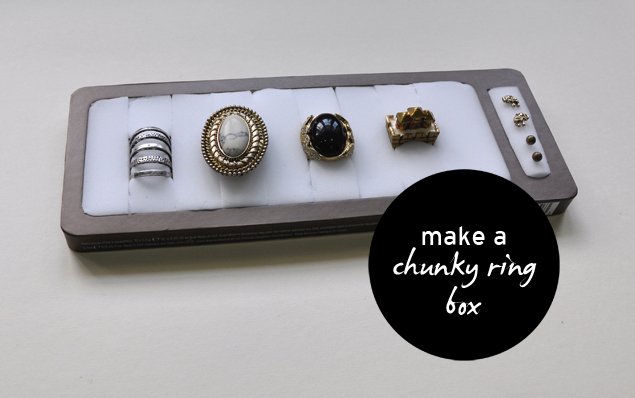 So… here’s a new design for chunky rings specifically!